This year has been one for the weather records here on the west coast. We have gone from a massive drought to a massive amount of rain. We cannot complain too much, we DESPERATELY needed it, however, you try keeping track of 3 kids under 8 that aren’t allowed outside for days or weeks at a time and need that physical activity. We have recently discovered a way to help keep the kids a little more active indoors, Yoga. Both my husband and I are very active people. We have a little home gym in our garage that we use daily. The kids do love our elliptical and will occasionally “play” on it, since they still think running and walking is fun. However, it can get boring after a while. They like to try new things, and I love Yoga, so they are used to seeing it done. I found this kids Yoga channel on youtube that we can play on our tv. The kids love the fun poses suited for them and their smaller bodies. I am constantly impressed with how flexible their little bodies are and how many poses they can accomplish that are beyond this momma. Cosmic Kids Yoga features expert Yogi Jaime. She finds poses that are perfect for younger bodies, and targets poses that help with mindfulness, calmness, strengthening, and empowering kids. She is very easy to understand, follow, and she is incredibly likable! We put the channel on after incredibly hectic days when the kids need to calm down, if they didn’t get a lot of physical activity that day, or if they are complaining about growing pains (which my oldest has constantly!) We have found it adds a level of ease to our daily interactions. Check it out, you may just find that it is a great addition to your child’s, and your own, life! This entry was posted in Activities and tagged Activities, cosmic kids yoga, indoor activities, interactive kids, kids meditation, kids workouts, kids youtube, physical activity, rainy day activities, the boys store, yoga, youtube yoga on March 10, 2019 by Lacy. April showers bring May Sun-catchers! This spring I am very excited to do some fun arts and crafts with my kids. We love to have things to decorate the house, and after a bland and boring winter, I am ready to spruce up my life with some color and some fun. I found this fun sun-catcher craft that is perfect for April, after all, “April showers bring May flowers!” I am looking to brighten up my world and this sun-catcher craft will definitely help with that! Thank you, Vanessa, at Pre-K Pages for an awesome spring craft idea. Pre-K Pages has some really incredible activities and crafts for kids that are homeschooled or little ones that aren’t in preschool yet. So be sure to check them out when you head over there to see the tutorial. 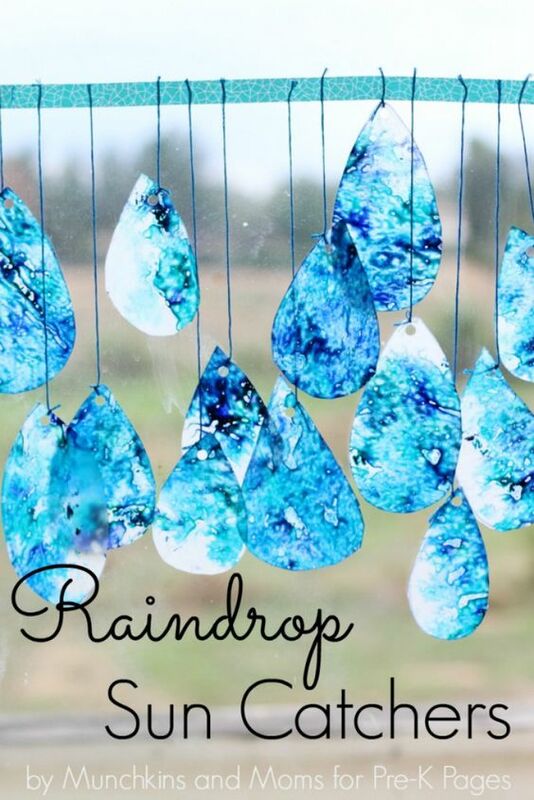 We even have a rainy day this week that will keep my kiddos indoors, and this fun sun-catcher craft is the perfect indoor activity to keep us busy. Here’s hoping our raindrops bring beautiful flowers! 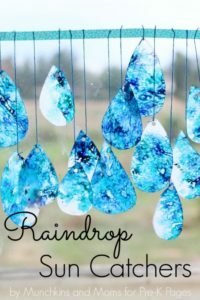 This entry was posted in Activities and tagged Activities, april showers, arts and crafts, DIY, indoor activities, pre-k pages, rain drops, sun-catchers, the boys store on April 19, 2018 by Lacy. Now that school is back in session my big kids are all gone for the day, which leaves me open to do more one-on-one activities with my youngest little guy. I try to keep him entertained and learning at least part of the day. I do have other things to do each day so I am not hovering over him engaging him in activities 24/7. However, I do try to do something interactive with him at least once a day. At two years old he loves to do things that are hands-on, messy, and destructive. I know that all of that is good for his cognitive development, including imaginary play and problem-solving. So I let him get wild and really learn hands-on several times a week. This month I thought it would be fun to try something really hands-on. Since it has been so cold outside we haven’t been able to explore the outdoors as much as he likes. So instead I thought it would be fun to find a way for him to dig, and play as if he were outside. This sensory bin with colored rice will allow him to do just that. This colored rice sensory bin is so easy to create and it allows for a lot of interactive play. I found this easy to follow tutorial on how to make colored rice here at Powerful Mothering. Thank you Powerful Mothering for such an easy tutorial. Be sure to check out Powerful Mothering for other great ideas for kids and parenting. This entry was posted in Activities and tagged Activities, indoor activities, learning, rice bin, sensory bin, the boys store powerful mothering, Toddler activities on January 13, 2018 by Lacy.